What does our past tell us about our future? Inspired by this year’s TOC theme, “Learning from Our Past, Leading into Your Future,” we can look back at over 10-years of evaluation practices, and feedback data, from TOC’s own professional development and training programs – monthly luncheons, Annual Institutes, webinars – and see stories from our past that impact our future. Join in on our webinar as we delve into past data to see where we have been, and how and what it says about where we are headed. As training professionals, you already know how powerful stories can be in helping others learn. We’ll present how we can gain insights from past data to create a better future in training programs across our training organizations. We’ll share the “What” and “How” of our data collection and analysis efforts and demonstrate the “Why” by taking a look at our own year-over-year TOC evaluations data. We will demonstrate the technology available for data collection, reporting, and analyses. Using this technology, we will provide interactive opportunities for you to share your past evaluation efforts. What stories might you have in your training program history that will benefit your future programs? We will finish up our webinar by discussing how other agencies may benefit by using similar approaches to look at their past and build a brighter future. Join us on our journey through TOC’s past programs and see how they have changed and improved to meet the needs of the day, then step boldly into the future in your own organization. Click the Webinar Registration button above to reserve your seat. This program covers topics in the Learning Measurement and Analytics track. Eugene de Ribeaux is President & CEO of PTG International. He joined PTG in 2003, and TOC soon after, bringing 18 years of software development and project management experience to the company. At PTG Eugene has spearheaded support for training evaluation programs at various organizations, such as IRS, DHS, OPM, World Bank, MTA, and private sector firms. Eugene received his B.S. degree from Carnegie Mellon University and his MBA from University of Maryland’s R.H. School of Business in May 2009. He lives with his wife and three sons in Gaithersburg, MD. Eugene’s dream is to one day sing “The Evaluation Man” – a slightly revised rendition of Sammy Davis Jr’s “The Candy Man” – at a future TOC Annual Institute. Talk about “Back to the Future”! Greg Alexander is Sr. Account Manager – Government at the global leader of audience response solutions, Turning Technologies. He helps agencies improve training outcomes using tools for increasing student engagement, providing immediate feedback, and the collection of data before, during, and after training happens. Greg has been a TOC member since 2014. 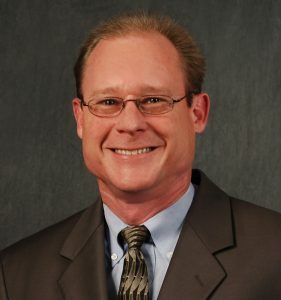 He has over 30 years of experience in operations management and sales with an extensive background in training and organizational improvement. 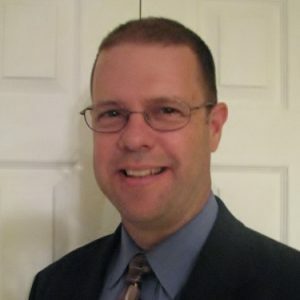 He has presented his ideas at conferences that include Elliott Masie’s Learning, Bob Pike’s Ascent, Learning Analytics Symposium, I/ITSEC, ICMA, and GA Association of Law Enforcement Firearms Instructors.